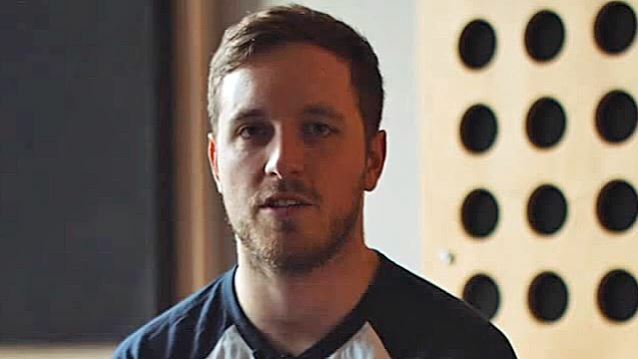 Tom Searle, guitarist and founding member of the British metalcore band ARCHITECTS, has died after a three-year battle with cancer. He was only 28 years old. In a statement posted on the ARCHITECTS Facebook page, Tom's twin brother and bandmate Dan Searle says: "He was an incredible songwriter and guitarist. He was my closest and oldest friend. He was a funny, intelligent and sweet man and he leaves an enormous void in all of our lives. "Many of you will be aware that Tom has been absent from various shows over the past 15 months and I can now let you know that this was due to various surgeries that he had to have to treat the cancer. "When we left for our European festival tour on June 2nd, Tom was very unwell. He had been advised to stay in hospital to receive care but ultimately there was nothing that they could do for him and he signed himself out of the ward two days before we departed for Germany. Some of you might view this as reckless, but this is the way Tom wanted to do things throughout his last year because he never wanted the cancer to get in the way of what he loved. He got on stage and performed his last two shows at Rock Am Ring and Rock Im Park, which took him an incredible amount of strength, but those are two shows that we will never forget. "We had to cancel our European festival tour and U.S. headline tour because on June 8th, in Luxembourg, Tom was extremely sick. We called an ambulance and he was taken into ICU. The following day, he was placed into a medically induced coma and the doctors told us that it was unlikely that they'd ever be able to wake him. Five days later, against all the odds, he was awake again, and in a few short days following that, myself and Tom cancelled the air ambulance that was due to take him home and we got the Eurostar train home. Classic Tom Searle. "He spent the last two months of his life fighting with everything he had to overcome the disease once and for all, and things appeared to be moving in the right direction, but in the last two weeks, it suddenly took a turn for the worse and finally he left us." He continues: "I don't know what will become of ARCHITECTS. Me and Tom started playing in a band together when we were 13 and, really, ARCHITECTS is just an evolution of the band that we started all the way back then, over half my life ago. To pretend that Tom wasn't at the heart of everything that the band created would be to show a complete lack of respect to the amazing talent that he was. The band will never be the same and there is simply no denying it. "We will 100% tour 'All Our Gods Have Abandoned Us', there is no doubt about that. We will be going to Australia in a few weeks and we will be doing our U.K. and European headline tour in October and November. We hope that these shows will be an opportunity for everyone out there to show their respects to my wonderful brother. "It won't be easy for us to get on stage and play every night without him, but it's something that we must do. "We want to carry on, that is important to say, and we will strive to do so, but we will not release any music unless we truly believe that it is something that Tom would have been proud of. Whether or not we can achieve that is something that we will have to discover in time. "For now we need to begin to process what has happened. Myself, Sam [Carter], Ali [Dean] and Adam [Christianson] will need time to fully come to terms with the loss of our brother and we hope that everyone out there will continue to respect our privacy during this terribly difficult time." 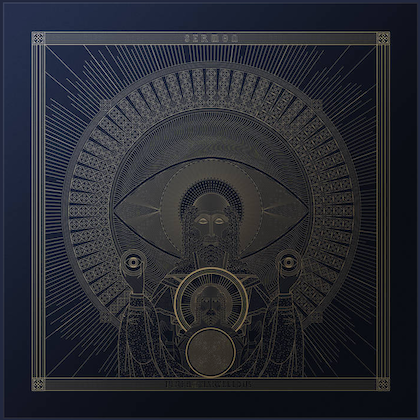 ARCHITECTS's latest album, "All Our Gods Have Abandoned Us", was released on May 27 via Epitaph.